This subspecialty elective emphasizes experience in the evaluation and management of common clinical problems in allergy and immunology. It is expected that the learner will first complete the Allergy/Immunology Clinical Rotation Curriculum Registration. The learner must also complete the recommended readings, participate in selected online learning activities and complete both pre-test and post-test assessments, and the final evaluation. Students, residents and allied health practitioners of all specialties interested in this subspecialty elective must first register here in order to the access the Allergy/Immunology Clinical Rotation Curriculum. Link to Northwestern University Allergy/Immunology Syllabus. Please click 'Access Your Copy' and then download. You will need this as a reference for multiple modules. 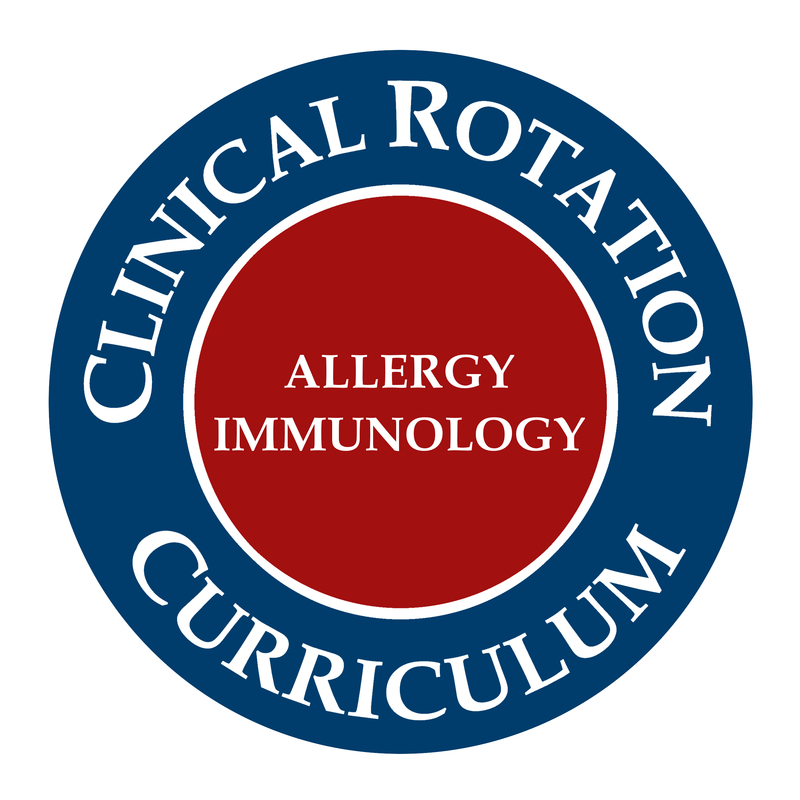 AAAAI members interested in using the Allergy/Immunology Clinical Rotation Curriculum when hosting medical students, residents and FITs in their practices must first register here. Interested in learning about effective teaching in the clinical practice? Check out the course Faculty: Effective Teaching in the Clinical Practice. Attention medical students and residents! Interested in a career in allergy and immunology? Your future includes a big decision about the path you choose. AAAAI has just the opportunities for you. The Chrysalis Project is a great way to explore a career in allergy / immunology. The three day program introduces you to the breadth of this rewarding specialty. For more information please visit the AAAAI Chrysalis Project home page. By becoming a Medical Student or Resident member you can receive many perks like free annual meeting registration, eligibility for participation in the AAAAI Chrysalis Project and many other incentives. Check out the links below for membership details. Click here for more information about a Medical Student Membership. Click here for more information about a Resident Membership. Click here to locate your nearest Regional, State or Local allergy, asthma and immunology society.